Bristol-based Folium Optics has been awarded £1 million funding in the latest SBRI Healthcare competition to develop ‘My Health Tags’, an innovative new product designed to improve medicines adherence. A plastics display technology business set up by two former employees of Hewlett Packard Labs, Folium Optics has created the prototype in partnership with Pumpco and Designability. This significant funding award will enable the company to further develop their technology and carry out the first clinical evaluation. The West of England AHSN has provided Folium Optics with valuable advice, particularly on how to work effectively with the healthcare sector and who they needed to be talking to. The collaboration with Pumpco and Designability, for example, was a direct result of them meeting at one of our networking events. We also supported them through the SBRI application process. Up to half of prescribed medicines are not used as the prescriber intended. Non-adherence – or under-use – represents not only a missed opportunity for health improvement but also a danger to patient health and significant waste of resources. 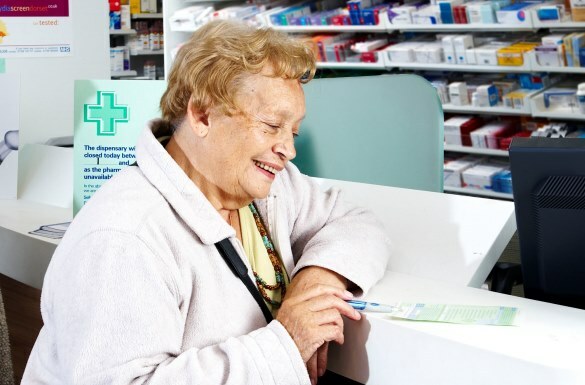 One recent study estimates medicines non-adherence costs the NHS more than £500 million per year. To tackle this problem of non-adherence, Folium Optics has developed a ‘smart’ electronic tag which is attached to medical packaging, wirelessly linked to a remote cloud service and a separate portable reminder unit. The reusable, lightweight tags feature an ‘always-on’ display, showing clearly what medicine needs to be taken and when. The tags still work if the medication is taken outside the home and can be easily configured by pharmacists, carers and users. The technology integrates well with people’s lifestyles, making it easier for them to manage their medication, and acts as a bridge to higher intervention solutions such as medicine compliance aids. Folium Optics has initially targeted the 65 to 75 year old age group and is now developing the system for wider use. Steve Kitson, CEO of Folium Optics, said: “We are delighted to win the SBRI funding. It allows us to take the next step in developing our technology and ultimately to help more patients. The latest SBRI Healthcare competition is focusing on ‘Reducing Pressure on Urgent and Emergency Care’, and is being run in partnership with the South West and Greater Manchester AHSNs. Find out more here.